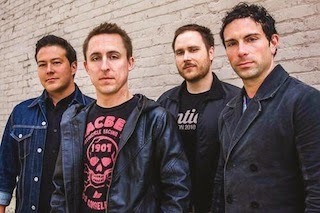 Yellowcard have posted another teaser trailer for their upcoming album Lift A Sail, which contains a clip of "One Bedroom" - the first single from the release. Lift A Sail drops this fall via Razor & Tie Records. Dates and ticket information for the band's upcoming North American headlining tour can be found here.